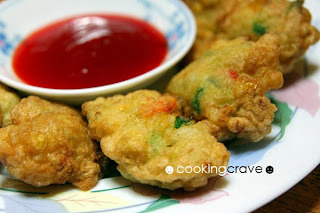 This "Cucur Udang" is best eaten with the sweet chilly sauce and makes perfect teatime snacks. 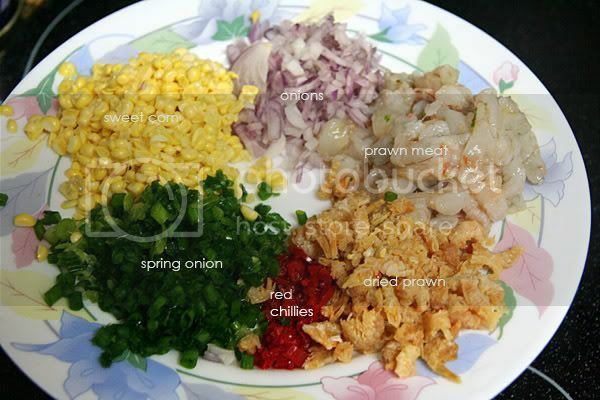 I reduce the red chillies and add in more prawns here because my kids can't take it too spicy. It's delicious!! Mix (A) in one direction until a smooth batter is formed. To make sure the salt are mix evenly in the batter, dissolved it in the water first before we mix it into the batter. Add (B) and mix till well combined. Taste. 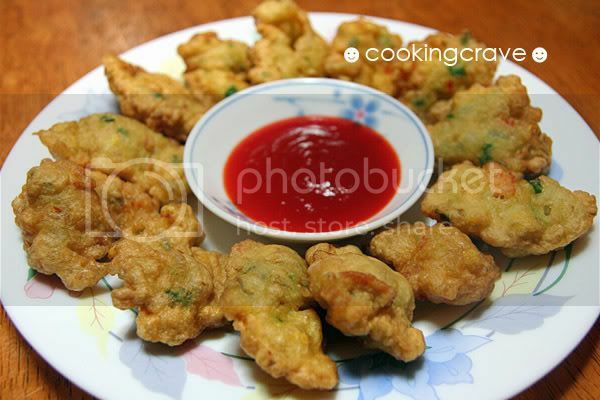 Heat up oil, spoon mixture into hot oil and deep-fry with medium heat until golden brown and cooked. Dish and drain on the paper towel. Serve hot as snack. 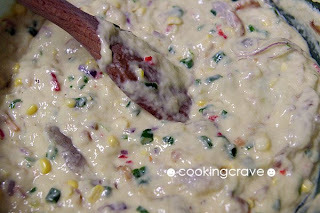 Note : Another easy dishes to prepare and it's YUMMY! Thanks for posting AMY! I haven't had it for a while, will follow your recipe this weekend!